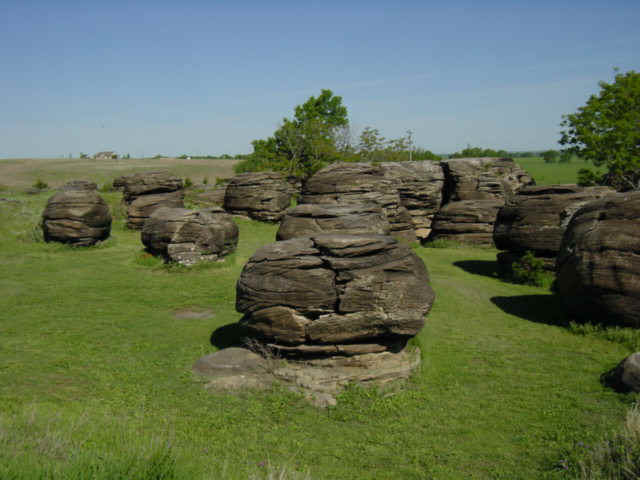 Rock City - photos by Jim Mason On a peaceful hilltop overlooking the Solomon River valley in north central Kansas, in an area of cedar trees and bluestem grasses, loom nearly 200 mysterious spheres of Dakota sandstone. These rare concretions, ranging up to 27 feet in diameter, have been designated a National Natural Landmark. This is the only place on Earth to see such a large number of these unique geological oddities. A side trip here is well worth your time. A modest entry fee helps the largely volunteer staff maintain the site. The outstanding geology is complemented by the local flora and fauna. The songs of dickcissels and western meadowlarks may be heard along with those of mockingbirds and brown thrashers. 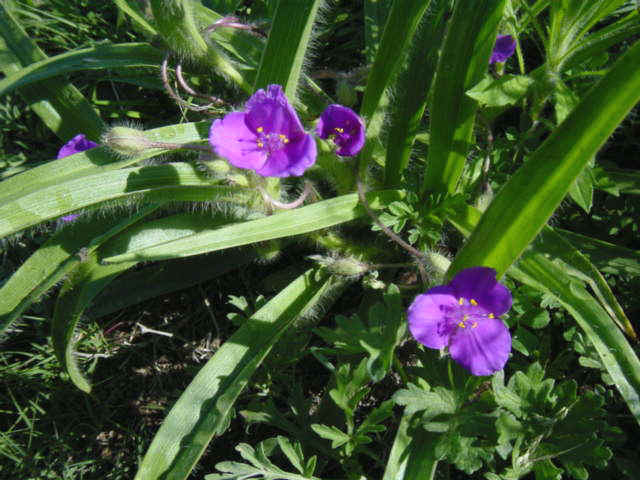 Wildflowers such as old plainsman, bracted spiderwort and dame's rocket grow around - and sometimes out of - the boulders. 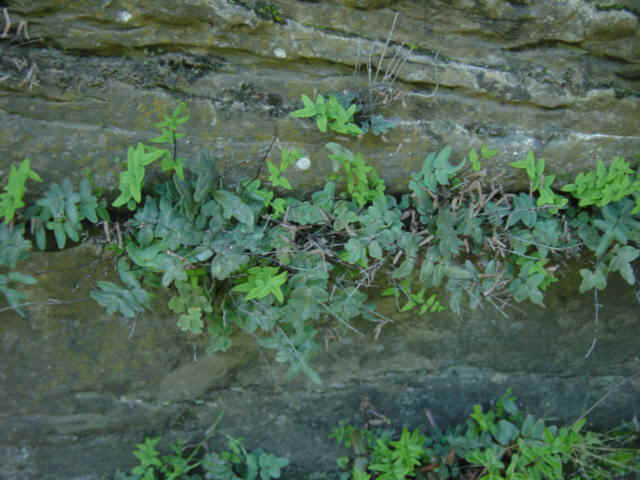 Notable also are bryophytes such as ferns and mosses growing on the sides and in the crevices of the rocks where they are sheltered from the summer sun. These individual specimens comprise isolated populations that are a long way from their nearest cousins. 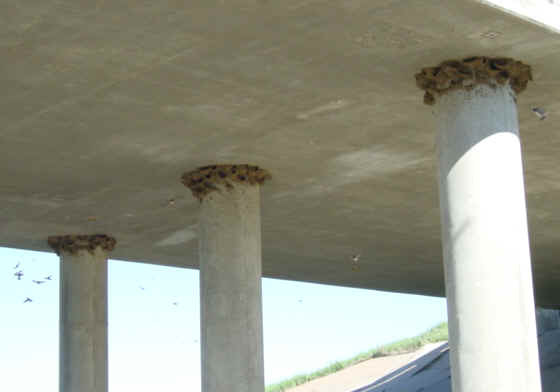 If you are driving to Rock City from the south, take the K-18 exit 10 miles north of I-70 and notice the colony of cliff swallows making use of the round bridge piers to construct their amazing mud nests. 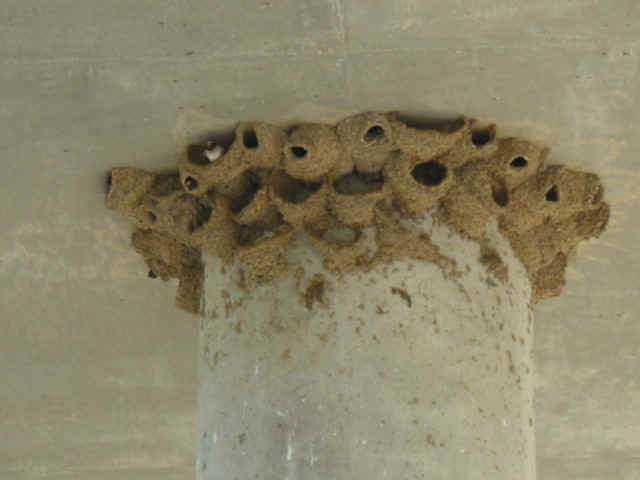 Each pillar is completely encircled with nests at its top. You can continue west on K-18 4 miles to the intersection with K-106 and then drive north to Rock City. Entry fee, Restroom, Visitor Center, Picnic tables. A mowed nature trail winds through the ~25 acre prairie on the west side of the site. Directions: From Minneapolis (20 miles N of Salina) go 2.5 miles southwest on K-106, turn right at the sign. Ownership: The entity responsible for management of this site is Rock City, Inc. Contact them at (785) 392-2577 if you have specific questions about use or management of the site. Open daily from dawn to dusk. $3 admission per person.